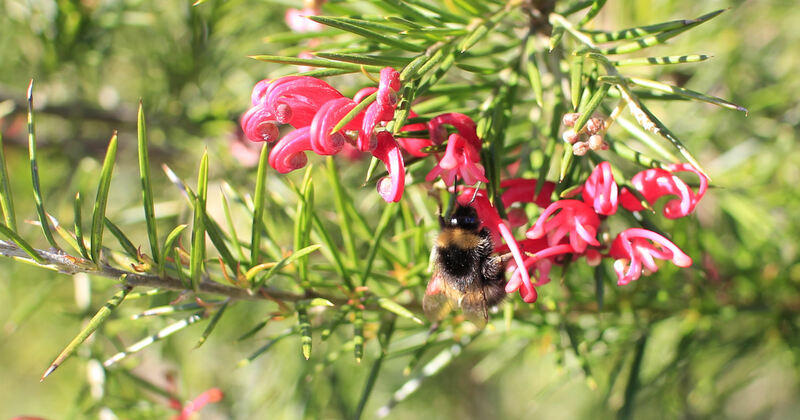 Bumble bees, in fact bees in general are on the decline. Since 1930, it is estimated we have lost 97% of the flower rich grassland bees used to thrive on. So what, I hear you ask? Well, the decline of the bee coincides with the population increase and demand for more food. Vast acres of farmland are dedicated to food production, fruit and vegetables and the like. Of course, this has always been what farming has been about, although farmers used to be able to leave a field fallow to recuperate from crop growth. Modern methods of food production necessary for our survival have decimated the wildflower population. Fair enough, we need food, there is no apparent alternative. However, these very plants we grow to eat rely very much on the bee population to pollinate them and assist reproduction. Commercial crops are estimated to be worth £400 million to the UK economy. Having to use other methods of pollinating the plants will be hugely costly. Aside from the commercial value of bees, how sad it would be to see them disappear, some species already on the verge of extinction. What can be done? Well, farmers have to farm, and farmers are adapting their ways of farming to be sympathetic to the bees, so no finger pointing there, but we can all help individually. Hentervene has taken up the “honey bee” pledge, a pledge to help the bees. What are we going to do? Put quite simply, we are going to set aside even more land to grow wildflowers, nectar producing wild flowers which look lovely, and not only enhance the bee population, but butterflies and other insects too. Bees need areas to forage. We are also planting fruit trees, and making “bee hotels” which we will put in various sunny places. It doesnt take much. A small packet of wildflower seeds sown in a sunny place at home will attract bees and insects, the flowers will look absolutely lovely, or perhaps a herb garden, bees love chives etc., and the bees will leave you alone as they are busy collecting pollen! Go on, give it some thought.